Super tactile sheets of translucent color! 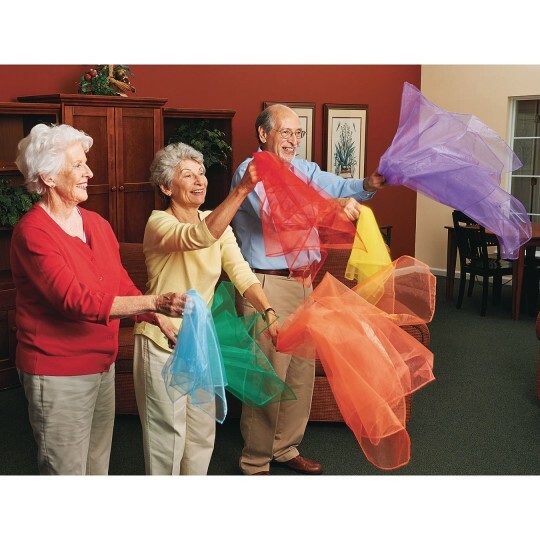 Engage all ages in activities that get the scarves flowing during music, dance, or even exercise! 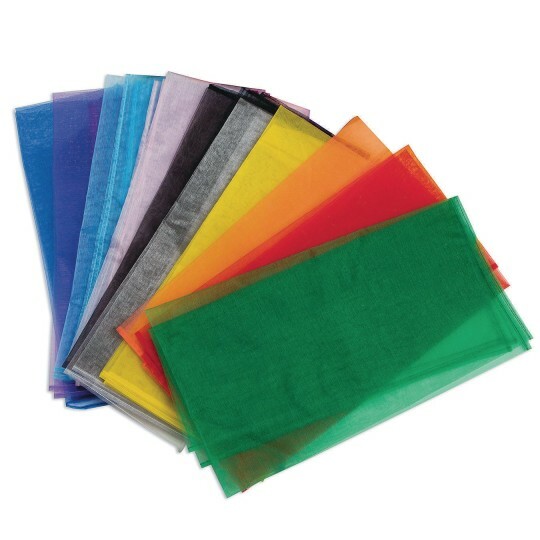 Our sensational rainbow organza is super tactile sheets of translucent color. The ultimate multi-sensory item, these simple, uncomplicated and visually appealing rainbow scarves create beautiful effects as they glide through the air. It’s a fantastic product to provide texture and visual stimulation while promoting an array of skills like eye tracking, creativity and gross motor. 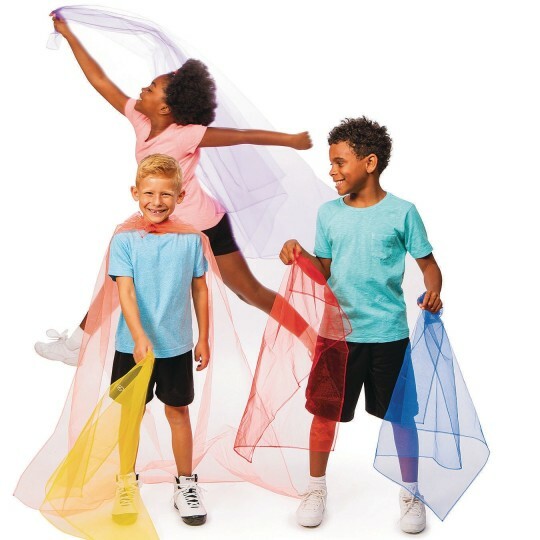 Engage children of all ages in fun, exciting games and activities that get the scarves flowing during music or exercise time. Set includes 1 each of black, white, red, green, yellow, light blue, dark blue, orange, purple and pink. Washable. Choose between the 27”-square or the 54”-square scarves.